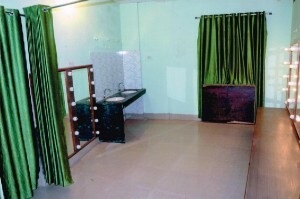 The facilities at the trust include an auditorium, a library, a smaller hall for seminars/ workshops/ etc, large open grounds for bigger programs, portrait gallery, children park, walking track with music system, etc. 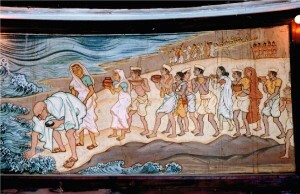 The historic and monumental circular building situated in Gole Bazar is known for murals and paintings by Beohar Ram Manohar Sinha and his colleagues from Shantiniketan on the walls, parapet and gigantic dome under the guidance of famous Acharya Shri Nand Lal Bose and Shri Surendra Nath Kar, the then principal of Kala Bhawan. 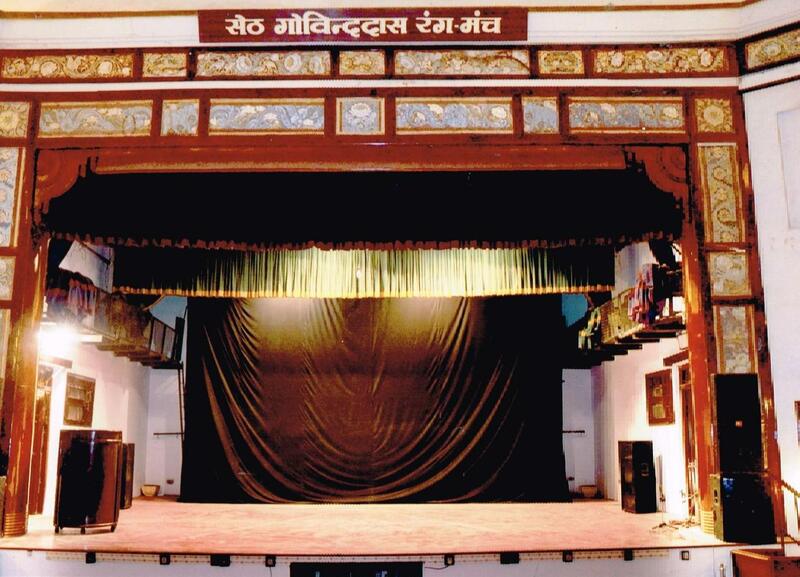 The auditorium is centrally Air-Conditioned, Digital Sound System, Advance Lighting System, Advance Audio System and many more latest facilities with capacity of 450 people to seat, of which 300 people can be accommodated on ground floor and 150 people can view from the gallery. 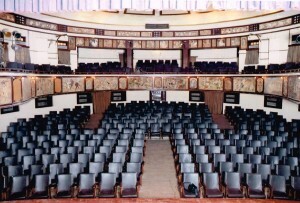 The gallery is in a horseshoe shape giving an opulent look to the auditorium. The size of the performance stage (Seth Govinddas Rangmanch) is 35feet x 30feet. 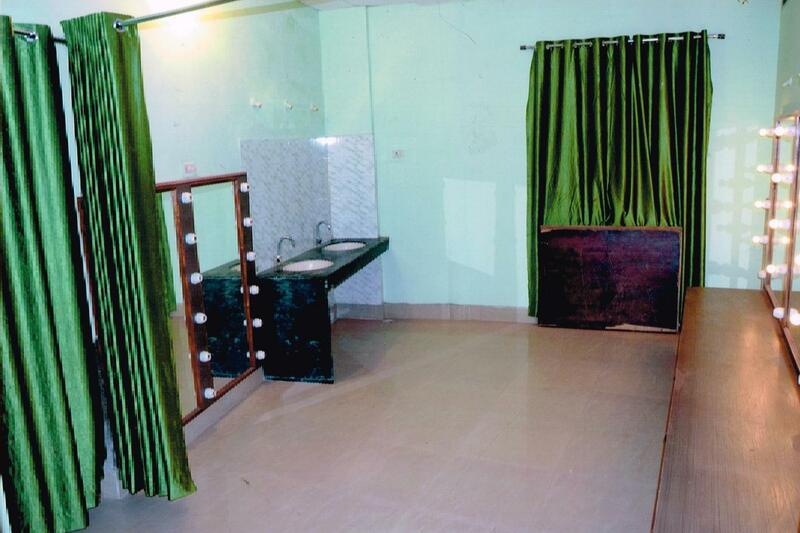 The Auditorium has got two attached green rooms for ladies and gents which are well equipped and lighted as per the need of artist. 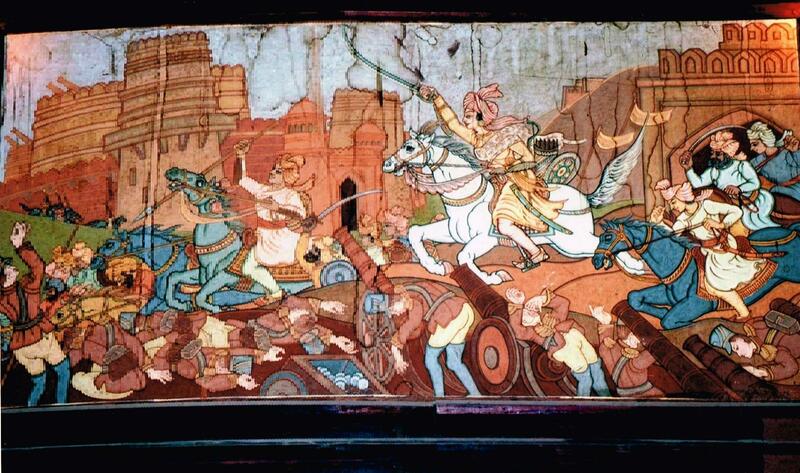 The Central theme of the frescoes at Shaheed Smarak is India’s independence fought between 16th & 19th century AD. 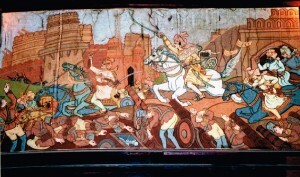 Starting with Rani Durgawati fighting and gearing up against Mugal Emperor Akbar’s attack on Gondwana. 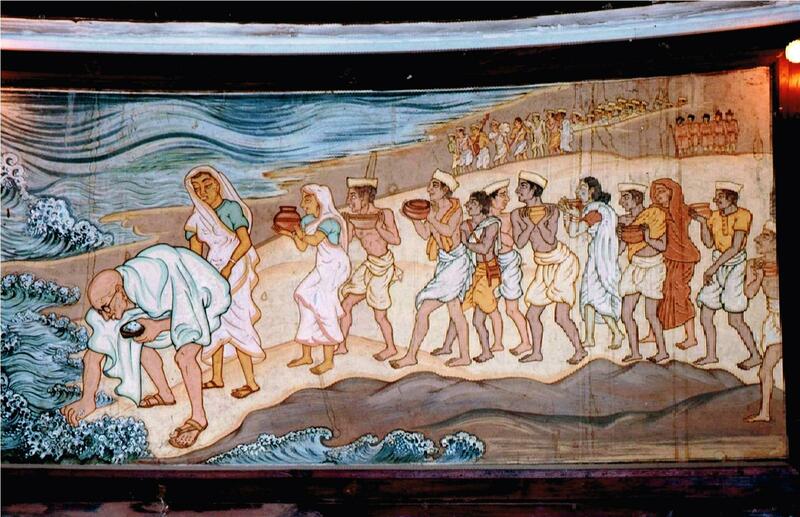 Painted by the famous Beohar Ram Manohar Sinha (Shantiniketan), this is the first painting ever made on Rani Durgawati and the Trust is proud to posses this mural painting. 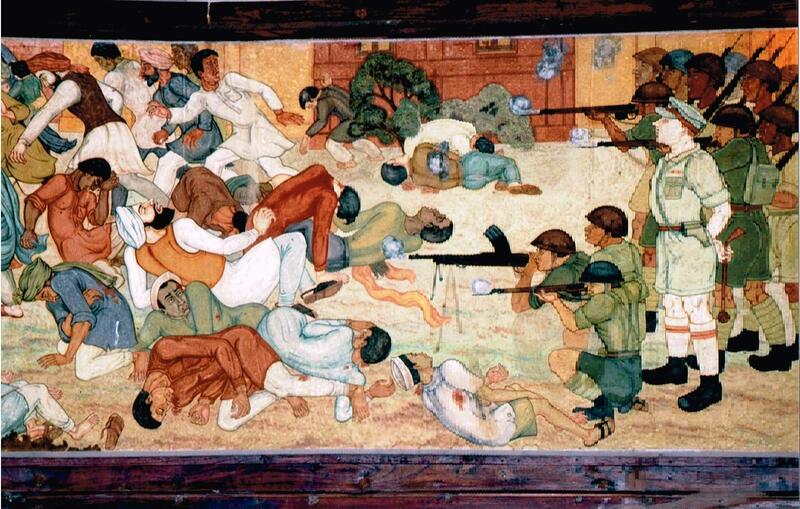 The other famous incident of struggle for independence have also been depicted on the inner wall of Auditorium such as Jaliyanwala Bagh, Gandhijis Namak Andolan, Rani Laxmi Bai fight against British Rule. The famous Painter of Calcutta Shri C. N. Row in the year 1956 painted portraits of legends such as Mahatama Gandhi, Kasturba Ghandi, Rabindra Nath Tagore, Subhash Chand Bose, Sardar Vallabh Bhai Patel, Gopal Krishna Gokhale, Smt. Sarojini Naidu, Lala Lajpat Rai, Dada Bhai Noroji, Lokmanya Bal Gangadhar Tilak, Pt. 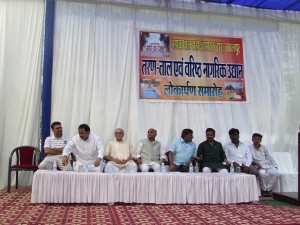 Madan Mohan Malviya, Pt. 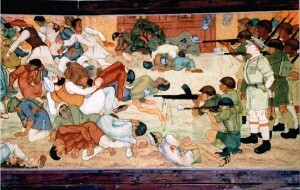 Moti Lala Nehru, Hakim Ajmal Khan and Seth Govind Dasji. 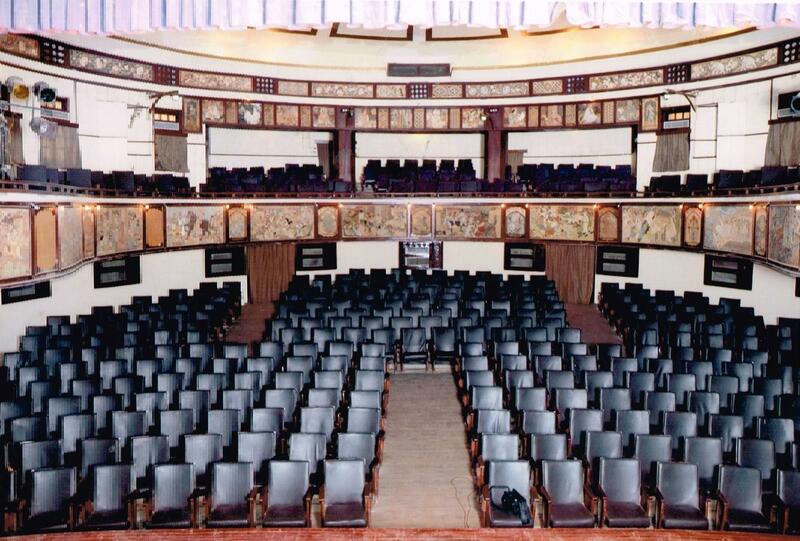 These portraits of legends have been prominently displayed in the periphery of the Auditoriums and Trust is proud to posses these masterpiece creation of Shri C. N. Row which gives rich look to the Art Gallery. 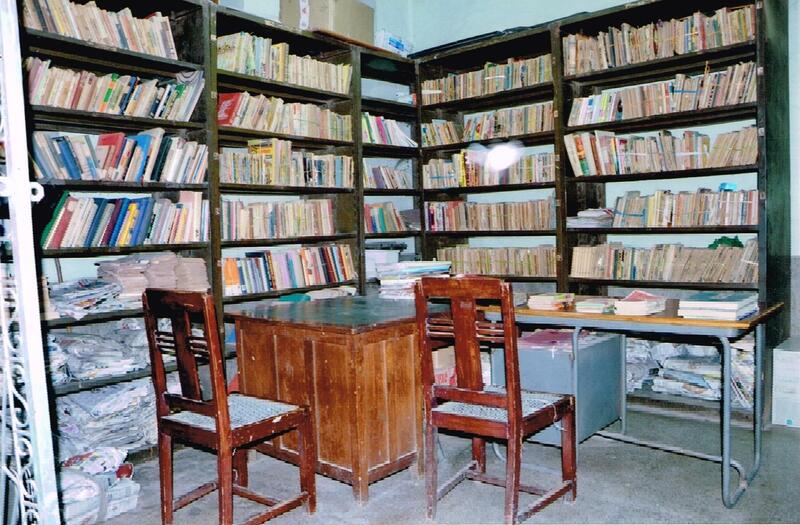 The Trust has got library exclusive collection of plays in Hindi & different regional languages. 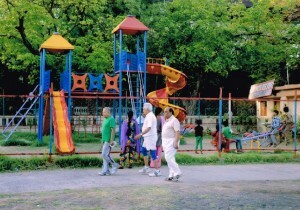 The Shaheed Smarak campus has a beautiful childrens park with various types of swings and slides. The park is open daily in morning and evening and enjoyed thoroughly by the children for the entire neighborhood. 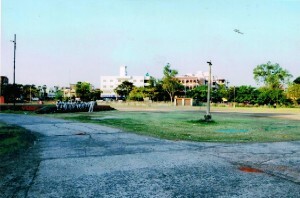 The Shaheed Smarak has the facility of a medium sized seminar hall of about 1400 square feet, admeasuring 50 feet by 28 feet. 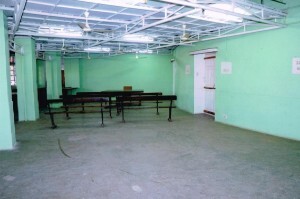 This hall can be used for seminars, workshops, classes, etc from time to time. This hall is also proposed to be airconditioned. 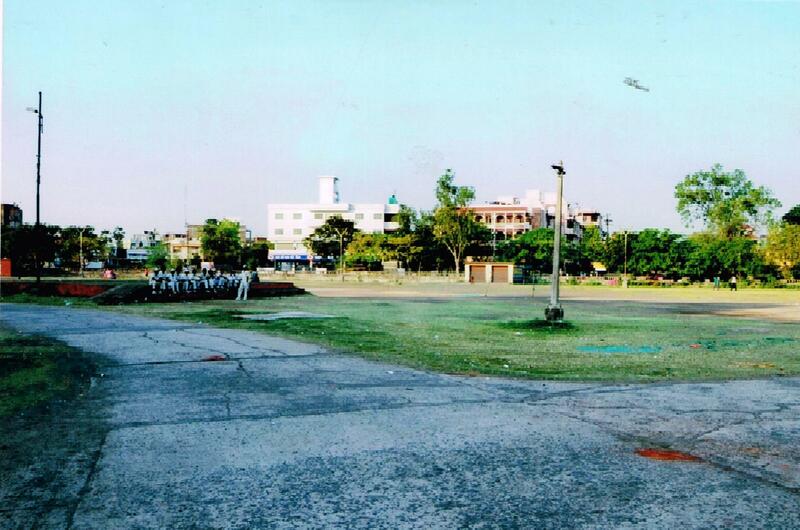 For sports such as cricket and for large cultural, spiritual and other events the grounds of the Shaheed Smarak provide a very convenient venue for the people and organizations of Jabalpur. Being centrally located and with enough space for vehicle parking, the trust provides the city a perfect citizen friendly venue. The walking track along the outer boundary wall and along the auditorium building provide a centrally located option to health enthusiasts and senior citizens alike. The outer path has a total length of 632 meters and inner path has a total length of 180 meters. The walking tracks are open to the public in morning and evening. 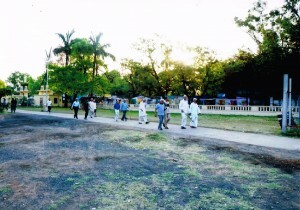 Spiritual music and mantras are played during walking timings. Free anti cancer juice is distributed to registered cancer patients. 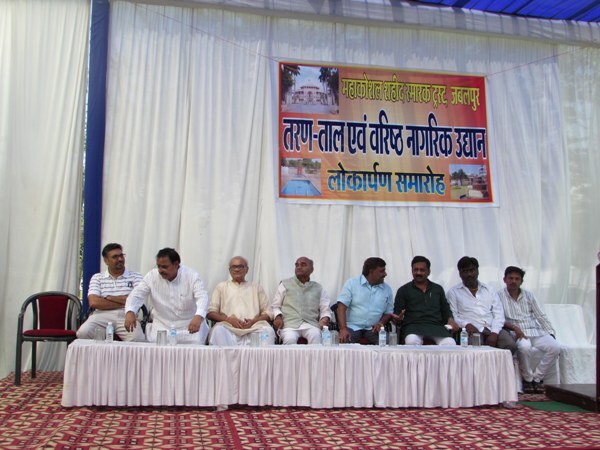 Mahakoushal Shaheed Smarak trust further extended contribution to the society and in particular to the children below 12 years by installing 2 swimming pools.On 28th September 2014 the inauguration of swimming pool was done by Member of Parliament Shri Rakesh Singh in the presence of various personalities of Jabalpur such as freedom fighter Rtd. Justice and our trustee Shri M.V. 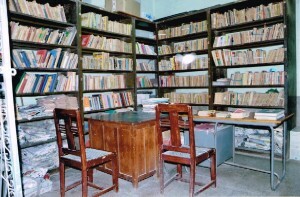 Tamaskar, Shri N.N. Khamparia , Ex. 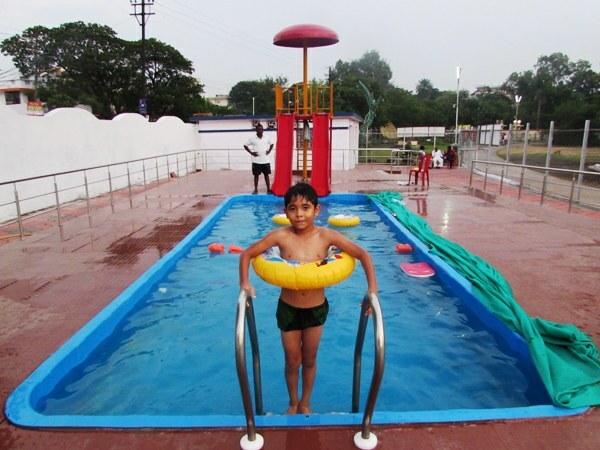 MLA Sihora and trustee Mahakoshal Shaheed Smarak Trust, Babu Shri Vishwamohan Entrepreneur and well wisher of our trust.The response from the public was very encouraging and children below 12 years are highly excited and have joined the swimming pool club. Mahakoshal Shaheed Smarak trust also yet achieved another land mark on 28th September 2014 by opening seniors citizens park for elderly people of the society.The idea of the trust by opening senior citizen park is to give serene atmosphere to the elderly people where they can come sit relax enjoy the nature beauty with water fountain around them which is illuminated by the flood light.The park was inaugurated by the Mayor Shri Prabhat Sahu in the presence of our respected guset such Shri N.P. Dubey, Rtd. Justice freedom and our trustee Shri M.V. 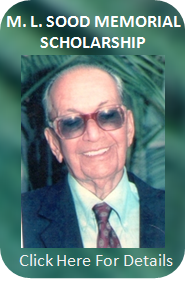 Tamaskar, Shri N.N. Khamparia , Ex. 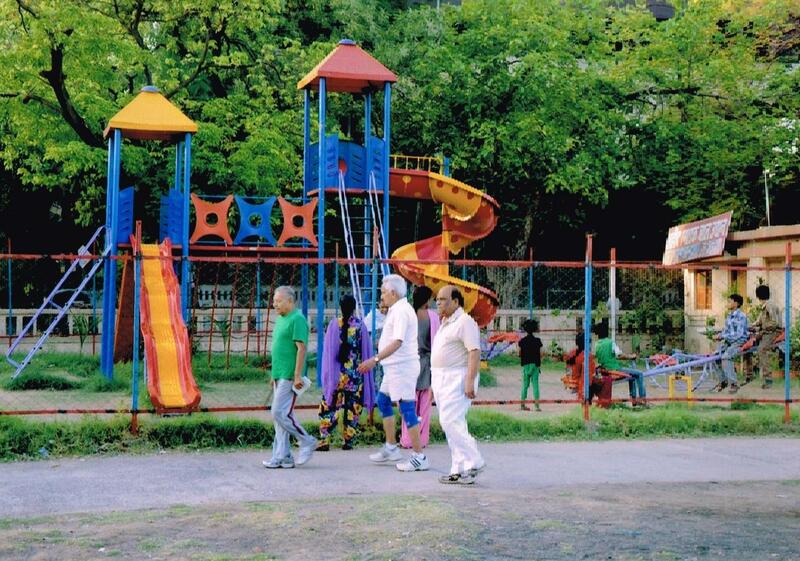 MLA Sihora, Shri Vinay Saxena ,Babu Shri Viswamohan, Shri Amit Jain & guest.The park is being daily visited by senior members of the society with great satisfaction. General Park Well equipped, setting arrangement Plant shortly opening work in progress, near Main Gate No. 1 & Children Park.